A two-day competitive Study Group Seminar from the Database Marketing Institute designed for marketing managers and senior executives responsible for their email and social marketing program strategies. “This event will be entertaining and fun!” Participants are assigned to teams and will compete to solve complex real-world marketing problems. You will learn as much from your fellow marketers as you will from Hughes and Kordek! 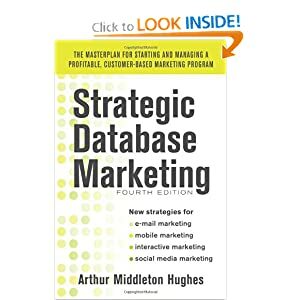 Featuring Arthur Middleton Hughes author of nine marketing books including Strategic Database Marketing 4th edition and Andrew Kordek, Chief Strategist and Co-Founder of Trendline Interactive – two of the top email and database marketing experts in North America! You have seen them at conferences. Now spend two days with them in Florida, participating in this study group learning the secrets of successful database, social, mobile and email marketing! Attendance is limited to 49, so don’t delay – register today! How to determine the lifetime value of your email and social media subscribers. How to het high open click rates in your electronic communications. Making each communication an adventure for your subscribers and customers. How to acquire thousands of opt-in email subscribers. As one of the few marketing executives attending this exclusive hands-on seminar you’ll spend two days doing case work, problem solving and intense study. After completing this seminar you’ll become a member of a select corps: a qualified email marketing strategy professional. Your company and your career will profit by this experience. If you are serious about marketing, you cannot afford to pass up this opportunity! Whether you are involved in business-to-consumer or business-to-business marketing, understanding how to budget for email, social and mobile marketing is vital. That is why this seminar deals in-depth with the concepts of Lifetime Value, Acquisition Planning and Ratings, and Reviews. You will learn the importance of links, interactivity, clicks, subject lines, testing, blogs, cookies, ROI, dynamic content, personalization, and relevance. You will learn to use your customer database as a support for your email communications. Email is the most inexpensive, cost effective marketing method in the world today. But most companies keep it at a low level with inadequate funding. Your company can double or triple your revenue from email using a few simple methods that this seminar explains. Using these methods your open, click and conversion rates will go up. You can increase your opt-in email subscribers by thousands. This is not a seminar for technicians. It is a Strategy Seminar for senior marketing executives. Participants will be divided into several small teams which will compete with each other to solve key email marketing strategy problems. Ratings and Reviews, Email Frequency, Lifetime Value, Interactivity, Subscriber Acquisition, Social and Mobile Media Transactions, Triggers and Testing are covered for both B2C and B2B.